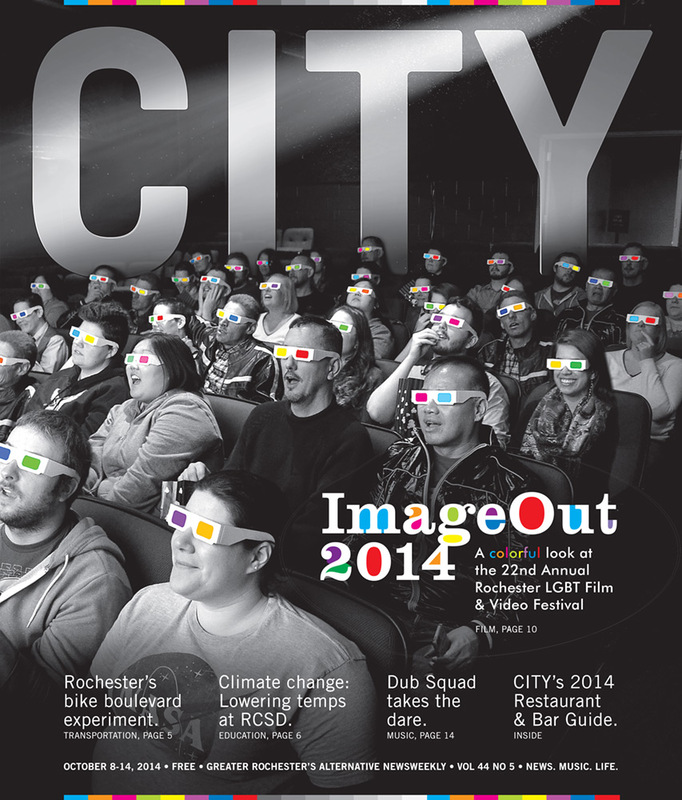 My cover image for CITY Newspaper’s annual coverage of the ImageOut Rochester LGBT Film Festival. For this year’s cover I wanted to emphasize the communal experience of watching a movie in a theater, while still giving it an LGBT-festival twist. After purchasing cardboard 3D glasses online, and arranging with a local independent movie theater for the location, I only had enough volunteers to fill a quarter of the seats I needed. So I made a seating chart, rotated the models, and combined photos together to achieve the final image. Some additional atmospheric enhancements and a re-coloring of the 3D lenses finished it off before adding the typography.